There are lots of android smartphone launch happing in India. One of the most exiting player Oppo has announced their new devices R7 Plus and R7 Lite. Here we are going to see insight what they are have unveil on 04 Sep 2015. In Mumbai on September 04, 2015, OPPO, a leading global technology brand dedicated to provide consumers across America, Africa, Europe, Oceania and Asia with pioneering products today unveiled itsR7 Plus and R7 Lite smartphones in Mumbai. With R7 Plus and Lite, OPPO brings another revolutionary technology New Flash Shot for its customers. 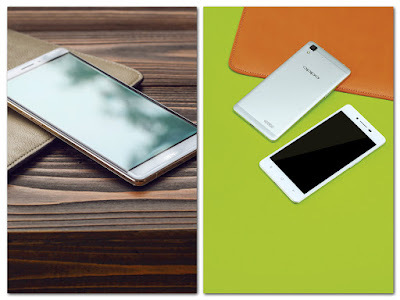 These devices boast metal uni-body and are the latest addition in the OPPO R7 Series of smartphones. OPPO R7 Plus runs on ColorOS 2.1with 6-inch full HD Super AMOLED display screen, 1920*1080 pixels and 367 ppi. The device offers 2.5D Arc-Edge screen with 13 MP rear and 8 MP front camera. It offers 4G with full metal uni-body, dual SIM slots and SD card support of upto 128GB. The device comes with 1.5GHz Octa-Core 64-bit processor with 3GB RAM with 32GB ROM. The smartphone weighs 192gm with4100mAh battery. OPPO R7 Lite is a dual SIM 4G Smartphone and runs on ColorOS 2.1. With 5 inch Super AMOLED display screen and 2.5D Arc-Edge screen, it offers 1280*720 pixels and 294ppi. The device sports 2320mAh battery and 1.3GHz Octa-Coreprocessor. The device offers 2GB RAM and 16GB ROM. R7 Lite weighs 147gm with battery. “India is one of the most important part of our expansion plans around the world, since our entry into the competitive Indian mobile market in 2014. We have launched devices in India immediately post global launches to offer the best products in the Indian market. With R7 Plus and Lite, we aim to capture a decent market share and expect more than 200% growth in sales by end of this year. OPPO is known worldwide for creating revolutionary products with trendsetting designs and supreme technological innovations. We believe consumers are our inspiration and believe that true innovation transforms technology into important aspect of everyday life”. OPPO R7 Plus is priced atINR29, 990 and R7 Lite at INR17, 990. OPPO R7 Plus will be available from 25th September and R7 Litefrom 10th September at OPPO stores and retail outlets across India. Hear are all updates. Stay tuned for more. If you have any query or any opinion do comment below. Thank you for reading.